Hello, lovelies~ Cushion makeup is trending again in the beauty industry and nearly every brand has their own take on them. I haven't tried that many cushion makeup since this is only my third one. IOPE is still on my wishlist because it seems like everyone has rave reviews about it. I sooooo wanna try it! 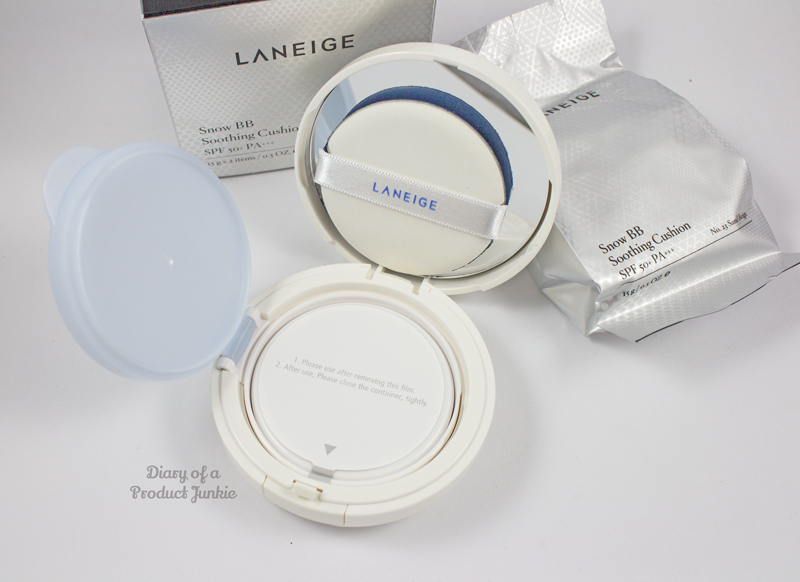 Anyway, I wanted to review the cushion makeup from Laneige, to be even more exact the Laneige Snow BB Soothing Cushion SPF 50/PA +++. As for the ingredients, it uses a blend of physical and chemical sunscreen to protect the skin from the bad UV rays. 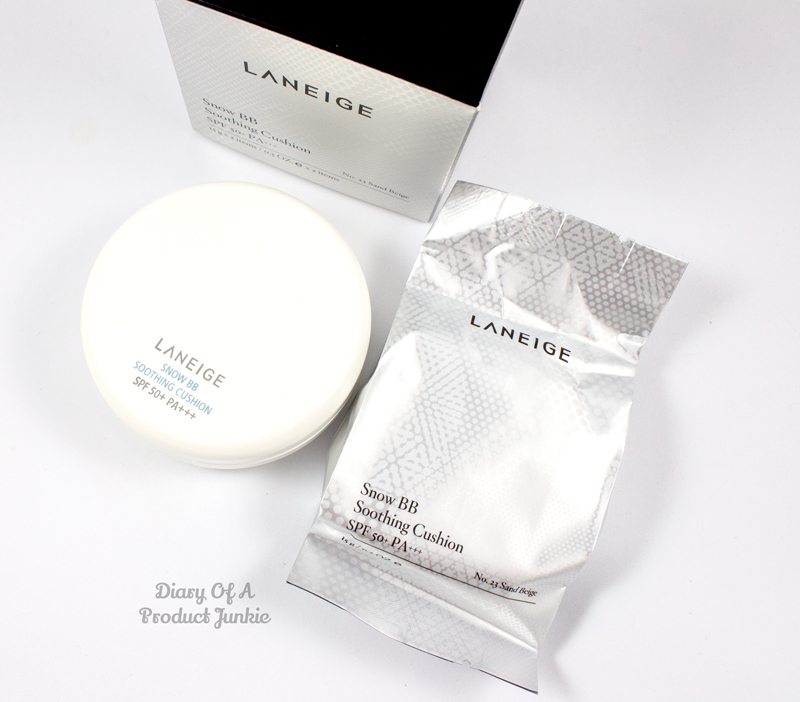 I like that it has arbutin, so it helps brighten my skin. Glycerin is also present as a moisturizer that draws moisture from the environment. 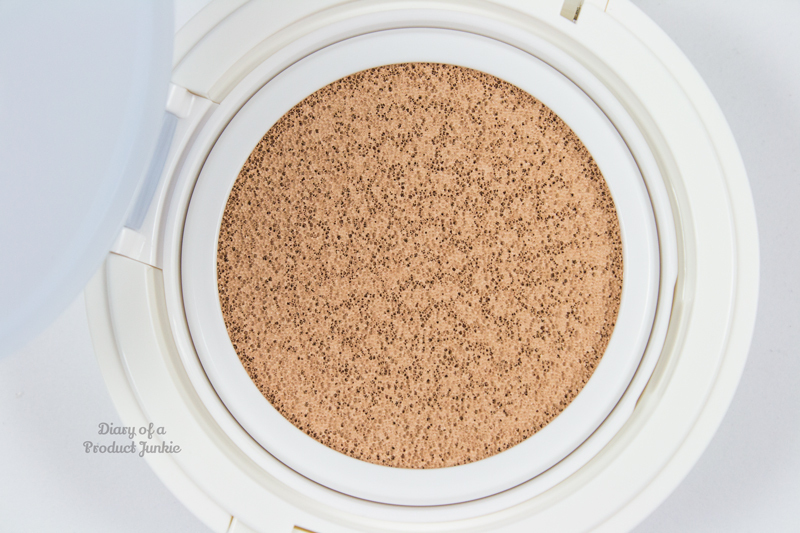 This BB cushion is loaded with silicones and silica, so those with allergies may want to watch out for that. 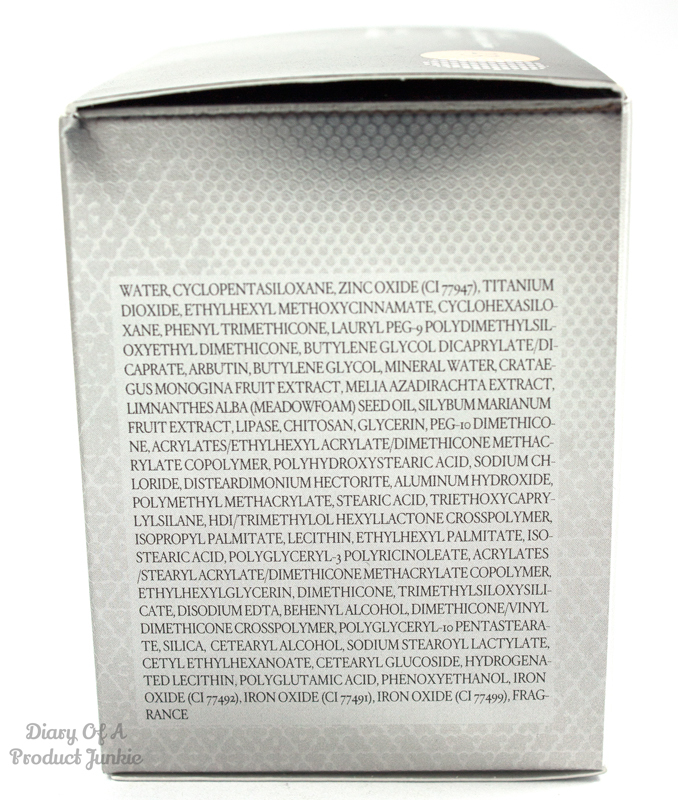 It doesn't use any parabens as a preservatives, but still contains fragrance. As with most cushion makeup, it comes with its own sponge puff or air puff that I love to use, even though I have to wash it every other day to reduce bacteria on its surface. The inside of the cushion looks like a bee hive if you look up close, doesn't it? That's where all the BB cushion is stored and later picked up using the sponge puff provided to give an even coverage. 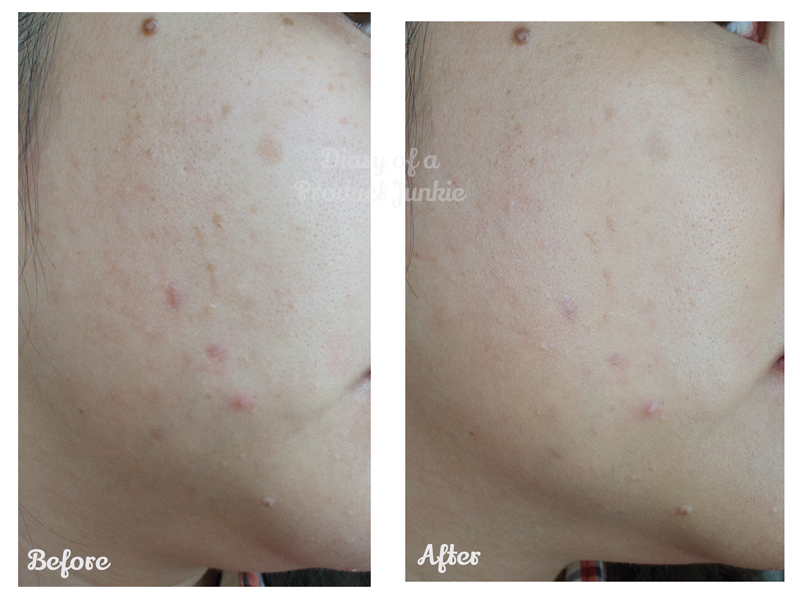 As for the performace or coverage, it gives a light coverage that is enough to conceal the redness on my face, but not my acne or sun spot. 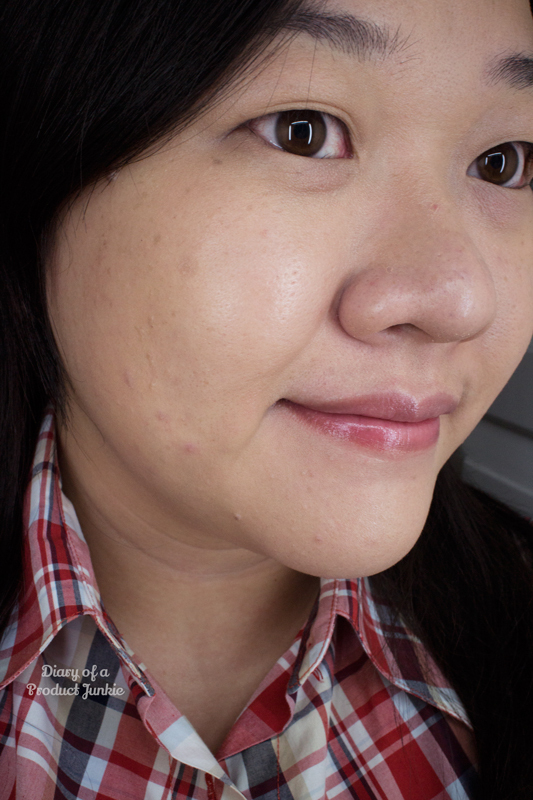 With a dewy finish (like the photo above), I like to set it with powder to reduce the shine on my already-oily face. 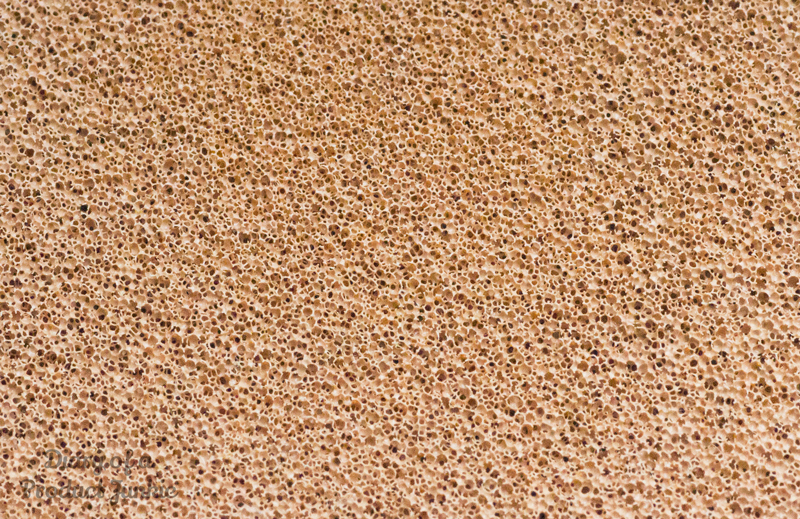 The shade Sand Beige looks a tad darker than my skintone, but it wasn't something dramatic. Oil control is (you'd probably guessed) below average for my combination/oily skin type. To sum up, this BB cushion seemed like it was made for people with dry skin because I imagined it would be moisturizing and sticky. However, it was lightweight and comfortable to wear on a daily basis. The sunscreen factor is adequate to protect the skin from the sun. I do feel that it has a poor oil control, especially for those looking for makeup that stays all day. At times when I'm lazy, applying this cushion felt like a chore because of the all over patting motion to evenly distribute the product. *pat pat pat*. I feel that this has more coverage, but the EH lasts longer.